Apartments Jandlbauer price per day from € 40 Located 800 metres from the ski lift in Schwaighof, Apartments Jandlbauer offers apartments with a balcony, mountain views and free Wi-Fi. There is also satellite TV and a bathroom with a shower. 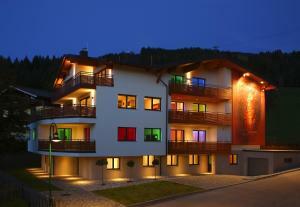 Apartment Bucher Wagrain price per day from € 46 Wagrain is located 5 km to the west of Flachau. Country house Burcher is situated on the border of Flachau and Wagrain at a height of 1100 metres at the end of a no through road. Aparthotel Rubinius price per day from € 188 . Apartment Holzhacker price per day from € 156 Moadörfl’s Apartment Holzhacker is within 300 metres of the Wagrainer Höhebahn cable car in the Amadé ski region, cross-country ski trails, a ski bus stop and bike path. A bread delivery service is available upon request, and several restaurants are within a 5-minute walk..
Haus Adelheid Located directly opposite the Wasserwelt Amadé public swimming pool in Wagrain, Haus Adelheid offers spacious apartments with free Wi-Fi access. In winter, all ski lifts and cable cars can be reached with free ski bus. The Flying Mozart cable car can be reached in 10 minutes. Pension Unterwimm Offering a sauna, an infrared cabin, and free WiFi, Pension Unterwimm is only 80 metres from the Flying Mozart Cable Car and a 10-minute walk from the centre of Wagrain. The rustically furnished rooms offer mountain views, a flat-screen cable TV, and a bathroom. Berghoam price per day from € 55 Berghoam is situated in Wagrain, in the heart of the Amadé Ski Area, just a 3-minute walk from the free ski bus stop and the ski lifts and provides apartments with mountain views and free WiFi. 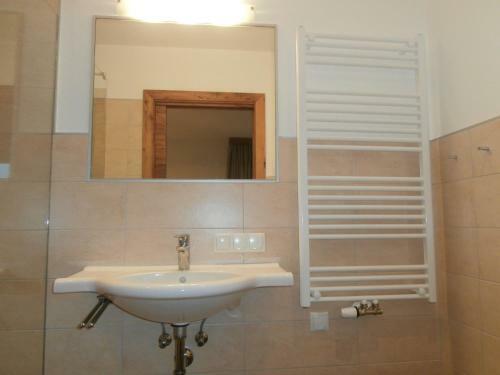 The ski storage room can be used by guests for free, the sauna in the house is available for a surcharge..
Haus Amadeus price per day from € 37 Wagrain’s Haus Amadeus has a garden with a terrace and barbecue facilities, and a sauna can be used on site free of charge. The chalet also has a small garden with a sitting area. Wohnen by Lizzy Rohrmoser Quietly situated in Wagrain in the Ski Amadé region, Wohnen by Lizzy Rohrmoser offers comfortable and bright rooms with free Wi-Fi and free private parking. Wohnen by Lizzy Rohrmoser is within a 5-minute walk to the town centre where you can benefit from the sports and leisure facilities like the Wasserwelt Amadé with adventure pools..
7. Take the ramp to Wagrainer Str.163. 9. Turn right onto Markt. Destination will be on the left. Ski resort Alpendorf. 8 km from town of Wagrain. Ski resort Abtenau, number of ski pistes: 9. 24 km from town of Wagrain. Ski resort Afritz, altitude: 710m. 78 km from town of Wagrain.